A classic Stevie Wonder tune gets the full-on transformation into a different realm here as far as I'm concerned. I can't see how anyone would listen to this just once, it's that good. 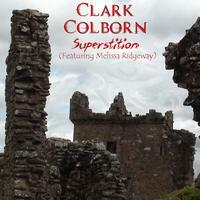 Clark Colborn once again releases a single, after two amazing albums and a recent cover of the Beatles’ “Eleanor Rigby,” which I also reviewed in a recent issue. From beginning to end the energy is at full maximum pace. Being new to the vocalist (Melissa Ridgeway) on this single myself, I can say that she is awesome, but to describe the track without giving everything away isn't easy. For one, the rhythm is played in the form of a riff that doesn't really follow the melody until it kicks into funk formation following the first verse. After that, Colborn owns all to be had in that department. All of a sudden he flies throughout the rest of it like a madman, pulling off a rocked up version that practically reinvents the classic in a totally different style without losing the original R&B substance. This includes bass and drum licks beefing it all up, and then a blast of Led Zeppelin's “Whole Lotta Love” to really stamp a huge twist on it. He pulls it all off without slaughtering such a universally well loved song. No matter how you slice Colborn, with or without vocals, he is a monster musician with chops as big as they come. That pretty much sums this amazing effort up, other than my belief this should be a hit record and catapult this amazing artist into his intended class, which is categorically first. I've noticed a trend with the cover, too. There seem to be some items relating to the title hidden among the stones, clouds and other things.